"It can be perfected for another 20 years,"
The Reanimation Package of Reforms think tank called on the parliament to adopt on Thursday, March 13, the legislation on environmental impact assessment, which has been vetoed by the president in October. 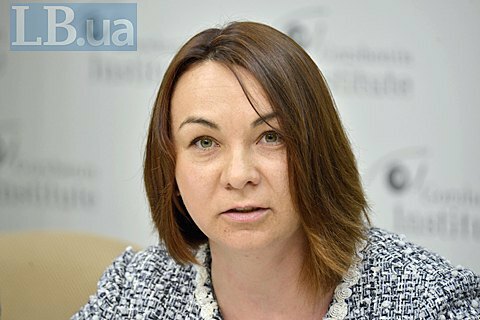 "We urge that this bill should be debated on Thursday and we call on factions and groups to support it," Tetyana Tevkun, an expert with the NGO Ecology-Law-Man and the Environmental Protection told a round table conference, organized by Gorshenin Institute on 11 April. In turn, Serhiy Vykhrist, an expert with the EU project "Supporting Ukraine in the approximation to EU environmental legislation," stressed that ideal bills just do not exist. As an example, he cited the European Union, where environmental legislation is the subject of ongoing improvement. "I understand that there may be some correct opinions about what can be improved in the system of environmental impact assessment. Even the experience of the European Union says that this procedure is being improved every three years. So the question is: how imperfect was the [environmental impact assessment] procedure that they passed last October?" he asked. "It can be perfected for another 20 years!" Vykhrist emphasized. The expert believes that the bill should be adopted as it is and be tested for at least six months.